Combine Hellmann’s® or Best Foods® Light Mayonnaise, tomatoes and basil in large bowl. 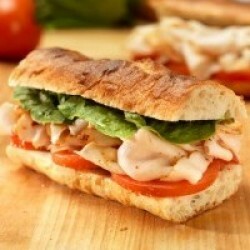 Spread mayonnaise mixture on bread, then top with turkey and arugula. Slice and serve.